You might have heard a lot from others that starting a business is a tough thing if you do not have the right capital to start with. But that concept of capital is a thing of the past. Yeah, it is not an easy thing to start a business if you do not have an innovative business idea which is unique. But you have something in mind which you know is going to be different and it can be easily implemented on the web platform, you can start with as little investment as needed. If you are looking for an inspiration, simply search for top billionaires who came out of nothing. If they can do it obviously you can. Well, you may not reach that height of success, but at least you can achieve something out of nothing. 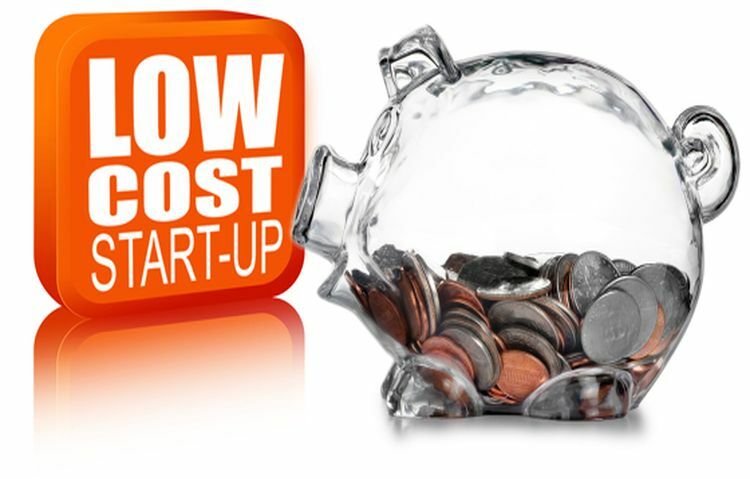 But the question will always be in your head: How to Start a Low-Cost Web Business? You may have heard this before: Big Money comes with Big Idea. If you have a great idea, live for it, put everything at stake to chase it down. It is fine to have a great idea for your business, but is it viable and sustainable for you? This is a question that you have to ask yourself before starting the project. If you know perfectly that this is the one where you can use the resources you have on hand to make the most out of it, build upon the idea and the business will take shape on its own. If selling something really simple like household goods can make Alicia millions, you bet you can make it to that range too. If you have a tight budget it is no use starting an online business which already has a competitive market. It will be difficult to keep up with the competition present in that field. So find the gap in the market where your business will fit in uniquely. This will put a lot of ease on your marketing budget. Business gets successful either by bringing new ideas or making something better that people actually would care. This is what filling gaps are all about. You should know the bottleneck of your business and try to make it better. Solve the problem and business will follow. Your first step in the online world is going to be a name for your website and a domain name. There are a number of domain name registration sites on the web which provides cheap domain names, which will cost you as low as $10 per year. Make sure that you get the right domain name related to your website name and business. What you will need next is a web hosting service. Without web hosting, no one will be able to access your website. There are web hosting sites which will also provide great offers for domain names, so it will be a good deal for you. Web hosting services cost anything between $10 and $100 depending on the type of services. Some of the webs hosting sites are GoDaddy and Dot.Inc Solutions. This one of the major steps that will give your website the face it requires. If you are a good web designer then it is a great thing because you will be able to save a lot of costs. If you are not, do not try as it will do more harm than good. You can check out for students who are willing do it for free; check out communities or portals that list web designing jobs for freshers and interns, and add your requirements. If you do not find anyone who can do it for free better try some freelancer as they cost lower than professional ones. The web designer can also make a good logo for you. A website is incomplete without the content. Make sure, that you work out with your designer how you are going to put up your content for the business; according to the type whether it is an e-commerce or service based one. If you are good at creating content you can do it yourself, or you will find someone who can do it for a reasonable price. Setting a payment gateway has become way easy. Get a good low budget, which is secure, payment gateway service and they will provide all the details on how to add the service, which you or the designer can do it in some simple steps. After creating your website it all comes down to sales and without any visibility, on the internet, it will be difficult to get customers. You are going to use some of the marketing tools that are available on the web and get started with it according to your website. Also, make your presence well covered in the social media networks. You can go for affiliate marketing also, where a certain website provides ad spaces for you and earn commission on your sales. So you know how to do it, right? But, I guess you are still in dilemma about the How factor? Don’t let the “how” scare you off. I believe you at least have a profound control over English. You don’t have to be a NY times best seller to be a writer. But if you have a proper writing and grammar skills, you can indulge into a writing business. This is what Megan hill has been doing for over 11 years. She is a happy freelance writer with a number of publications including Forbes Travel Guide. Do you excel in social media? Do you have a large number of social followers? Or, do you have a knack of attracting a tonne of followers? If these are your skills, then you can certainly use it to your advantage. Emilia is the name that comes to my mind when I talk about social media consultant. She is an Instagram consultant and helps a lot of business to get their words out on Instagram. You think you can be one of them? This is the sentence that’s coming straight out of a designer’s mind. Graphic designing isn’t as hard as people make it look like. If you are looking for a motivation to place yourself in an IT field, read this article about 10 Teenage millionaires. Most of which are driven by IT. Don’t have any coding skills or high budget to learn from an agency? No problem! there are a tonne of free resources available in the market like Codeacademy and Udemy that can give you a head start. If you need a resource to look for: Here is a list of 55 business ideas that you can check. There are many other things that are needed to get the perfect start for your business, but here are the basic things that will make it going. You can in the future look for a co-partner who will provide the economic platform you need or approach various venture firms that may like your business idea and possibly invest. You have to measure each step you take with great diligence and make sure that any risks are avoided in the starting.